Over my years of cooking and baking, I've found that everyone has an opinion when it comes to brownies. and some (rare) people don't like them at all. I guess you could call Jesse and I "Brownie Appreciators" though, because we'll happily take brownies in any shape or form.... though, we do have our preferences. You see, a couple of weeks ago I decided I simply needed a brownie with a crackly top and crisp, chewy edges. Nothing else was going to cut it - it had to be exactly that. So I got to thinking and I set to work on a batch of brownies with a completely different method. They were lightened up a little, but still indulgent enough that one piece was all you needed to drift off to brownie heaven. I impatiently waited for them to cook, squealed with delight when I took out of the oven and tapped my foot while they cooled before grabbing a knife and slicing them into little pieces of heaven. I took my first bite and succcccccccccccccccccceeeeeeeeeeeeeeesssssssssss! The ultimate brownie had been achieved! 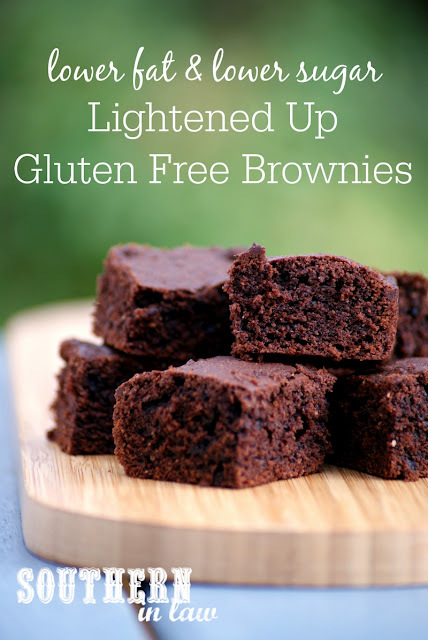 Though, knowing everyone has a different opinion on brownies, I decided I really did need to share these brownies instead of hoarding them all in a little box and eating them hidden away under my bed so I could be sure that they really were that good. Little did I know, they were waaaaaaaay better than that good because the fussiest brownie eater of all loved them. I'm talking about my sister, the fussiest, hardest to please critic on the face of the earth who only eats one certain type of boxed brownies or a random recipe she found on the internet 6 years ago. She loved them and so did the rest of the SIL family and when they were gone in just a day (except for the secret one I hid away), I knew I had to share them ASAP. Grease and/or line an 6 or 7" square brownie tin (you can use a regular 8" square tin, however, the brownies will just be thinner and take less time) and set aside. Alternatively, double the recipe and use a 9x13" square tin. Melt your butter and chocolate (either in the microwave or over a double boiler), stirring constantly until your mix is smooth and completely melted. Stir your vanilla extract into your chocolate mix and set aside. In a medium mixing bowl, combine your cocoa, plain flour, baking powder and a pinch of salt and set aside. In a separate bowl, beat your eggs and sugar with a whisk or mixer until pale and thick (it'll take about 5 minutes on a high speed or longer if you're doing it by hand - when you pick up your whisk/mixer paddle the egg mix should be thick and "ribbony"). Gently fold your chocolate mixture into your egg mix and then fold through your flour mixture until just combined. Pour your brownie mix into your tin, spreading evenly. 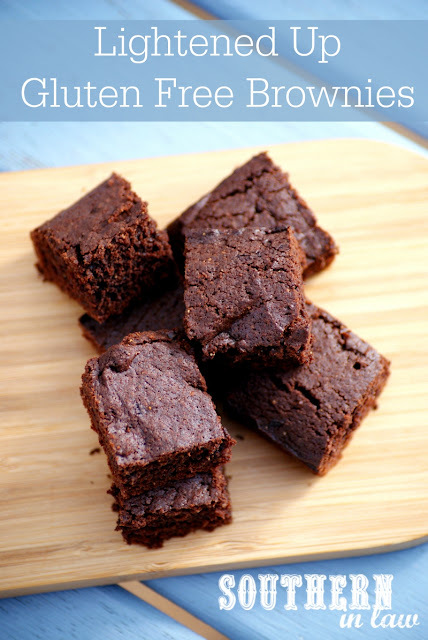 Bake for 18-30 minutes, depending on thickness, or until your brownies are cooked through and a skewer inserted into the centre removes with just a few crumbs. *If you like your brownies super sweet (or even just on the sweeter side), be sure to use up to 1/2 cup (100g) sugar instead. Whilst this brownie recipe is lightened up and contains a lot less butter and sugar than "classic" recipes, it's still something to eat in moderation. 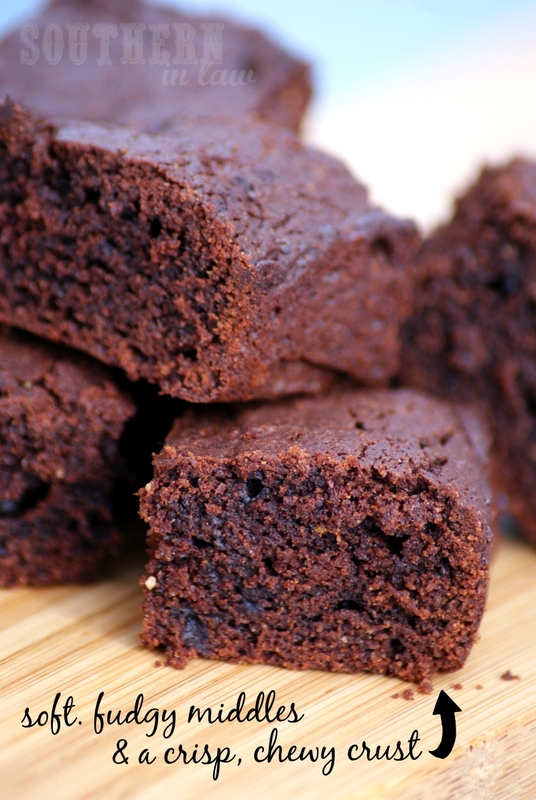 Don't worry though, one large square will totally satisfy your brownie cravings! I like these brownies unfrosted, however, Katrina (my sister) prefers them frosted. 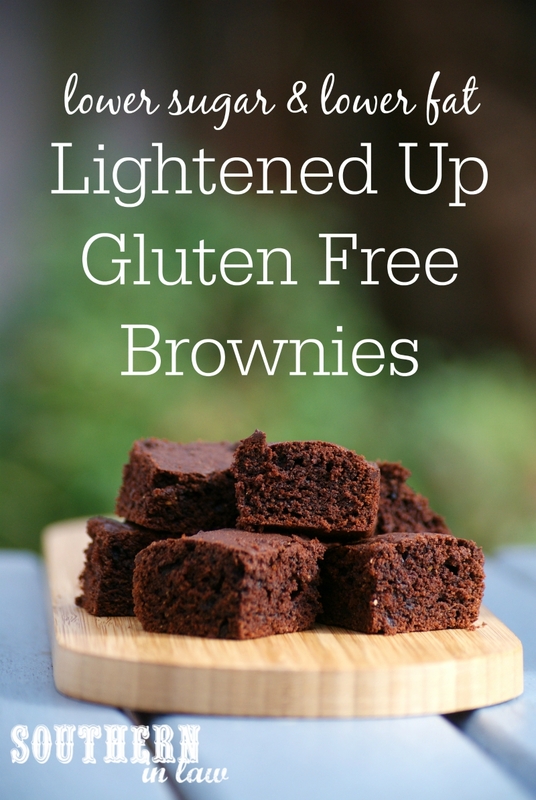 If you're looking for a frosting recipe, try the frosting recipe from our Healthy Vegan Brownies Recipe. But tell me, how do you like your brownies? And who's the fussiest person to please in your family? Brownies eaten with a fork or better yet, a spoon! And I do love the edge ones with the harder chewier side! Ooooh yes! I'll have to agree with you on that!